Going green in the office is actually pretty easy. 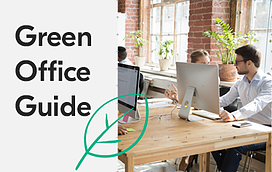 Whatever your role in making your business more green, know this: implementing green office practices also has a direct and tangible impact on your bottom line. Become your green office hero today - save costs, increase profits and feel the love from your team today! Fill in the form to download the guide now.